Stay up to date on all the latest happenings at Lamar Advertising Company. View recent press releases and news about new campaigns, partnerships, products and more. At Lamar, we understand the importance of a career decision. We are committed to providing the tools, resources, and support to help and encourage our employees to enjoy a successful career in out-of-home advertising. Whether you are a seasoned professional or just getting started in your career, come explore your options and discover how your skills and aspirations align with ours. 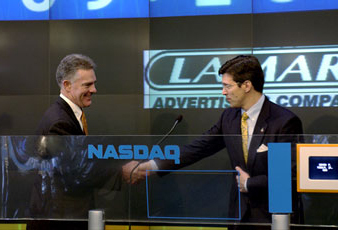 Lamar Advertising Company has been publicly traded on NASDAQ under the symbol “LAMR” since 1996. We are committed to creating value for our shareholders over the long term. Explore the Investor Area to learn more about your investment in Lamar Advertising Company. 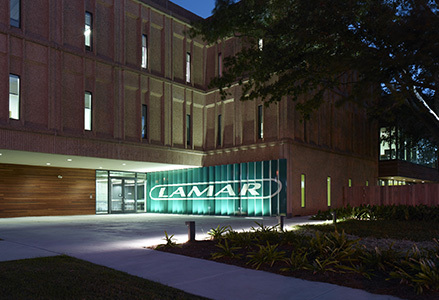 With more than 144,000 billboard faces in North America, Lamar is one of the largest out-of-home advertising companies in the world. 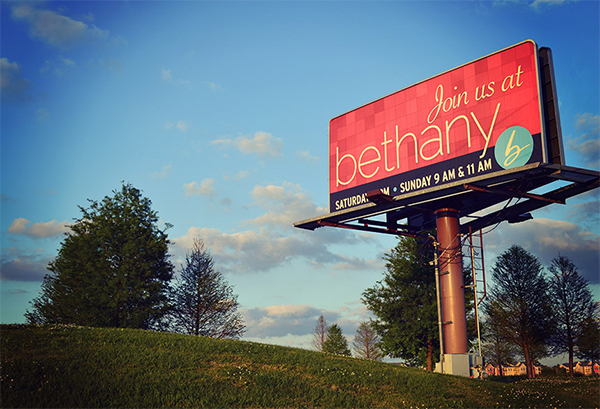 We have billboards on property owned by more than 60,000 individuals and businesses across the U.S. and Canada. Visit this section to learn more about the Real Estate aspect of our business. In 1908, a coin flip landed Charles W. Lamar the opportunity of a lifetime. 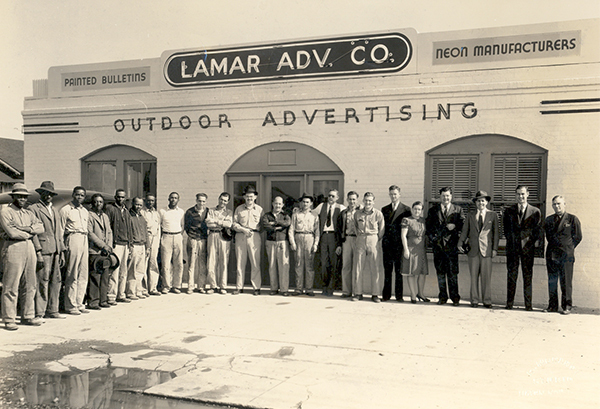 Over the course of the next century, Lamar and his descendants built Lamar Advertising from a small sign company into one of the largest out-of-home advertising companies in the nation. 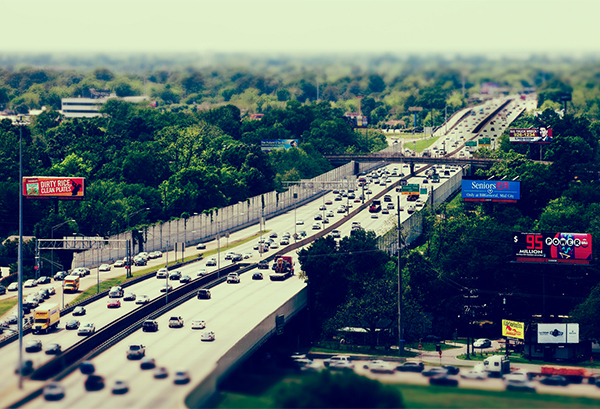 Explore our interactive timeline to learn more about the history of Lamar and the out-of-home advertising industry. At Lamar, we are committed to giving back. We have a variety of ongoing programs in place – from installing solar panels on billboard structures to delivering emergency alerts on our digital billboards – but they all serve one purpose: to leave every place that we’re privileged to operate in better than the way we found it. 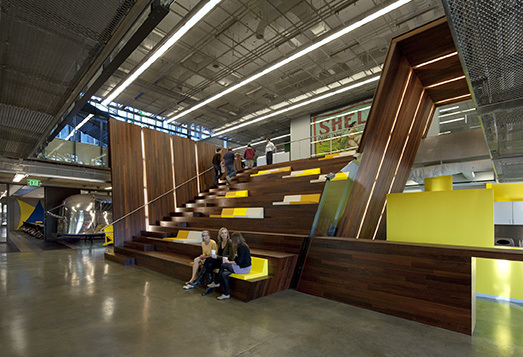 Explore this area to see our giving back initiatives in action.